In a small but symbolic gesture, Finnish Amateur Athletic Association apologizes for unfairly denying Jewish athlete's 1938 victory. In a small but symbolic gesture, the Finnish Amateur Athletic Association (SUL) has apologized for revoking an obvious 100 meter victory from a Jewish athlete in Helsinki in June 1938. "Any manipulation of the results is shocking and goes against our fundamental values in sports ...On behalf of the SUL, I present my sincerest apologies to those who have suffered injustices and to their families," SUL chairman Vesa Harmaakorpi said in a statement published late Wednesday. A photo reprinted in the Finnish press recently showed Abraham Tokazier of Finland crossing the finish line first in a competition held to inaugurate Helsinki's Olympic Stadium. But another Finn, Aare Savolainen, was named the winner of the race, and will go down in history books as such. Tokazier, initially declared the winner, was relegated to fourth position by the judges with no explanation. Makkabi, the main Jewish sporting club in Finland, has long requested that the federation publicly admit wrongdoing. "Overall, we're pleased with the admission that the official results were wrong, but apparently they will not be rectified," Makkabi chairman Ari Bensky told Finnish daily Helsingin Sanomat. SUL said that according to the rules in force at the time, the finish line was judged by the naked eye and "the photos from the finish line were not available directly after the competition". According to the association, the standings cannot be changed after the fact. During the conflict between Finland and the Soviet Union in 1941 to 1944, Helsinki effectively fought on the same side as Nazi Germany - fighting the Soviets at the same time as the Nazis launched Operation Barbarossa against the USSR. Finland never officially allied itself with the Nazis; its war with the Soviets was a result of the Soviet invasion of Finland in 1941, as opposed to a political alliance with Germany. However, although anti-Semitism was not a very widespread political ideology in Finland in the 1930s, there were "anti-Semitic sentiments like in most European countries", historian Oula Silvennoinen said. He said SUL's apologies come after "repeated pressure" put on the association, and noted that Finns "were long reluctant to examine or acknowledge events that took place in Finland during the German national-socialism era". According to a comprehensive Finnish study carried out between 2004 and 2008, Finland handed over at least 59 Jews to the Nazis, most of whom were killed. Today there are between 1,300-1,500 Jews in Finland, the majority of whom live in the capital Helsinki. 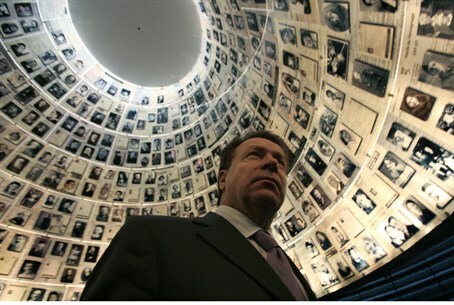 In 2000, Finnish Prime Minister Paavo Lipponen officially apologized for the decision by the Finnish government to hand eight foreign Jewish refugees to Nazi Germany in November 1942.